Aesthetics, a set of principles concerned with the nature and appreciation of beauty. But, what does this mean? My stance on aesthetics may be bias by just of what it is. An aesthetic experience is something we do not choose to embark on. Instead this experience whether it’s looking on a mountain view or taking fentanyl for the first time, finds us. By this the aesthetic experience isn’t so much a journey or a quest we chose to feel, but more of a discovery. My aesthetic experience will prove this. It was Monday, 6:00 am and we were tired. The airport lines to get out of the airport were long and endless. My dad and I were stuck in this together. All of a sudden a bellowing came from the east hall of YVR and it continued to grow. It was only moments later that the bellowing transformed like Dr. Jekyll into Mr. Hide and it shrieked. 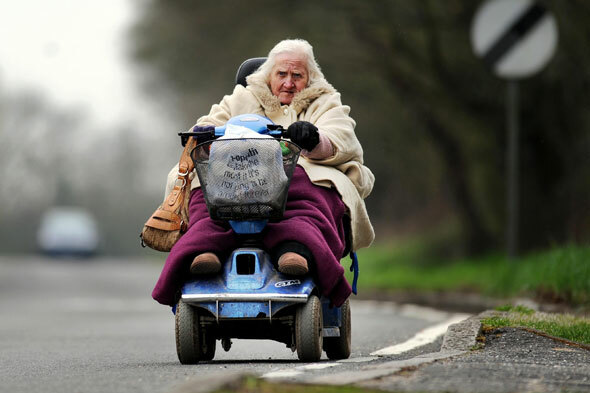 There were about eleven, chubby security guards all chasing a ninety year-old lady with a custom supercharged scooter that could run at a top speed of 27 miles per hour. The shrieking was caused by not her scooter but an immense laughter that filled YVR airport. My dad and I were no stranger to this bellowing and we continued to laugh. This was a truly aesthetic experience. After this fiasco I was greeted by a pleasant surprise. A, I was right before the break about aesthetic experiences coming from only lifes accidents and B, how something so ugly like eleven fat dudes chasing a ninety year old lad on a scooter could be such an aesthetic experience. Aesthetics is our journey and only part of it we can control is enjoying the current aesthetic experience that we surround ourselves with. I will be enjoying every mountain view and every ninety year old lady because these things are a part of life, the ultimate aesthetic experience.